Oprah Winfrey Network – ‘Blue Screen of Death’ Appears Again in San Diego | Stop Obama Now!! 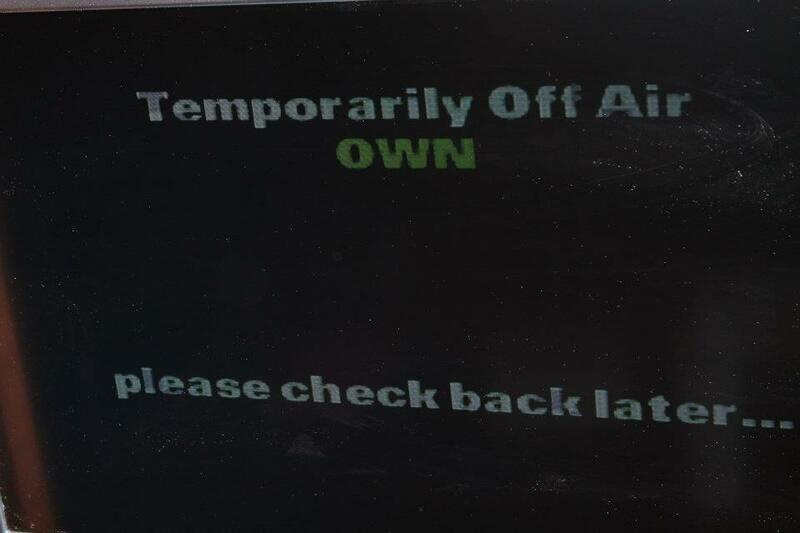 OWN has been off the air again in San Diego for the last few days, since at least July 10, 2012. It it not clear if this is due to financial problems, technical problems, or both. OWN has gone dark for days at least a couple of times before in the last few months. This entry was posted in OWN. Bookmark the permalink.